Welcome. I'm the author of Sometimes a Wild God, and the longer piece of moorland-prose, Nettle-Eater, both of which are published by Hedgespoken Press and can be bought right here using the buttons at the bottom of the page. I do write other things, too. Have a look about. If you'd like to share the writing, please do, but remember to give credit and link back to the appropriate page in your share. Links to the shop are always good. Everything is © me and all rights are reserved. I'm also co-founder and ring-master of Hedgespoken, the travelling off-grid storytelling theatre and home that Rima Staines and I have made on the back of a vintage Bedford lorry, in which we live and work with our young son. See the Hedgespoken website for more about that and where to find us on the road this year. 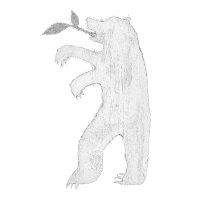 If you'd like to be kept informed by subscribing to my very occasional newsletter Bear Speaks to the Stars, you can do that by clicking here and filling in the box.